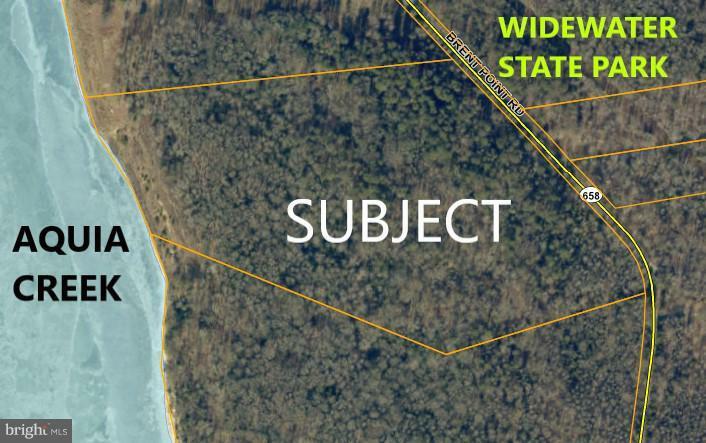 22 ACRES FRONTING WIDEAQUIA CREEK AT POTOMAC RIVER! Proximate to Widewater State Park. Mostly level with slope to water. Beautiful Location to Build Your Dream Waterfront Estate with Incredible Sunset Views. Boat to DC or the Chesapeake Bay.